It doesn't look like much but I actually got quite a bit done. If you remember, this was my September APQ UFO Challenge. My September UFO is bleeding into October. Here's my excuse: I was gone for 2 weeks the end of September and mostly into October. How was I supposed to finish September let alone October???? Friday night found me in my sewing room. 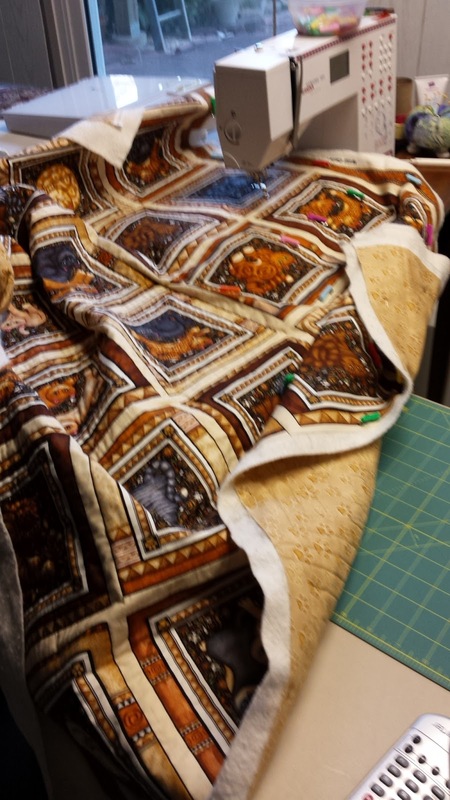 I actually got 6 or 7 blocks quilted! I thought I only had 6 more to go but it turns out I had 8. Since then I've finished off three more = only 5 more to go!! I'm even sharing the back. 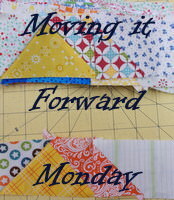 This has been fun & easy to quilt since it was a "cheater" top. 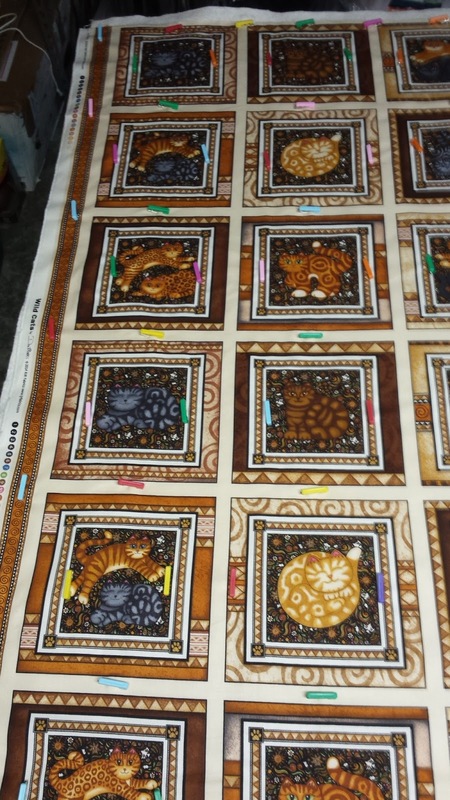 Each block has three borders to quilt and then there's 1 or 2 puddy tats. 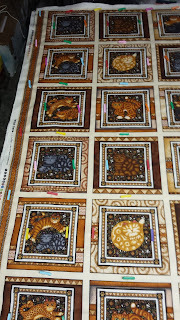 Depending on the details of the block, they only take about 20 - 25 minutes to do! And here's a picture of the UFO I was supposed to be working on this month. Not going to happen which makes me sad. 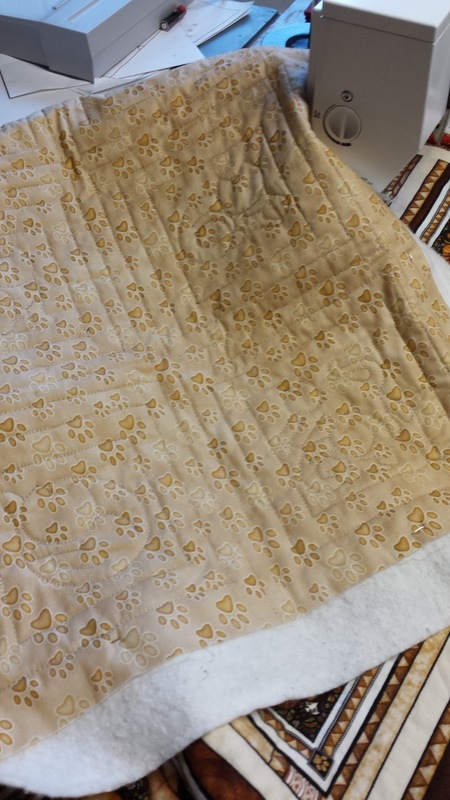 This quilt is supposed to go on my bed since it's queen-sized. Really, really, really wanted it on our bed this winter. Blah! As for my Loopy Academy projects, I've got 1 glove completed and the other about 80% done. Need to knock that out since the library book with the pattern I'm following is due Tuesday. Because I can't focus on only one thing at a time, I've also started a pair of socks. The requirement was a project with knitted bobbles. These socks will have that PLUS I've challenged myself into trying out 2-at-a-time, toe-up! Go, me!!! I'll try to keep you up-to-date on my next project. 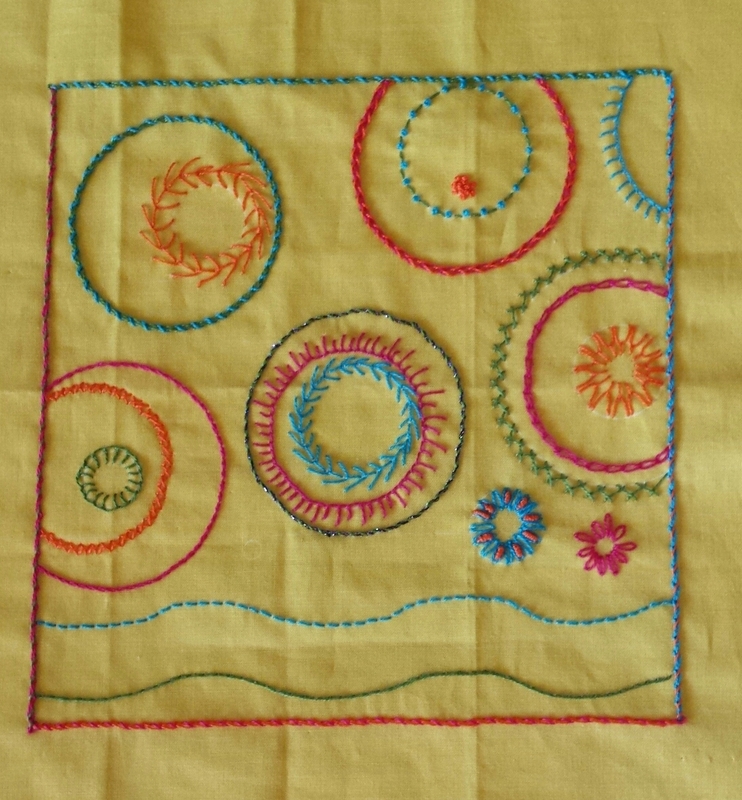 We have an Australian quilter coming to teach us her method of applique and English Paper-Piecing (EPP) this Tuesday & Wednesday. See?? This is why there is no way I'd ever get my October UFO Challenge done this month. Not my fault! 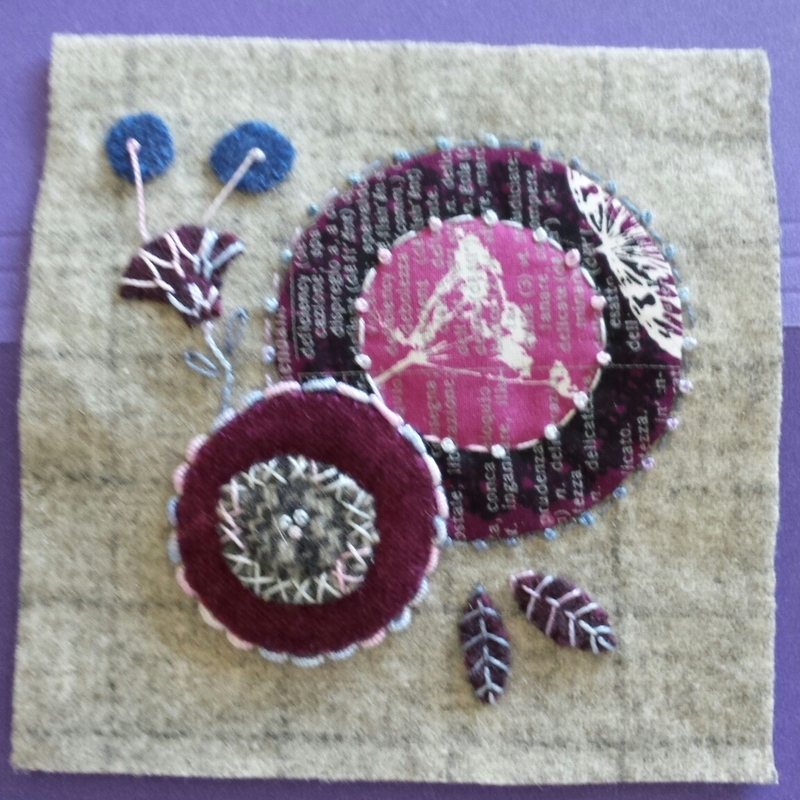 Hope you managed to get in some stitching time this weekend. Here's to a great week ahead! I thought last week was FNSI until I checked the calendar. NOPE! So I knew I had a whole week to get my post together. YUP! Didn't happen and now I'm scrambling. UGH! So here we go! Sign up HERE at Sugarlane Quilts, our hostess. Set some time aside tonight and don't forget to check on what others are up to at tonight's FNSI party! As of right now there are 22 of us!!! We had a SUPER speaker at guild this month. Her name is Catherine Redford and she hails from up north, Naperville IL. That's close to Chicago! 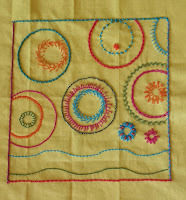 She showed us her embroidered projects and all I could say was, "WOW!" I was so happy that I was signed up for her embroidery class the next day. 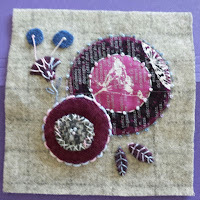 As if that wasn't enough fun, I decided to join in on the wool applique class on the next day after that!! Here are my projects. Catherine kept both classes fun, educational, and relaxed. LOVED BOTH! 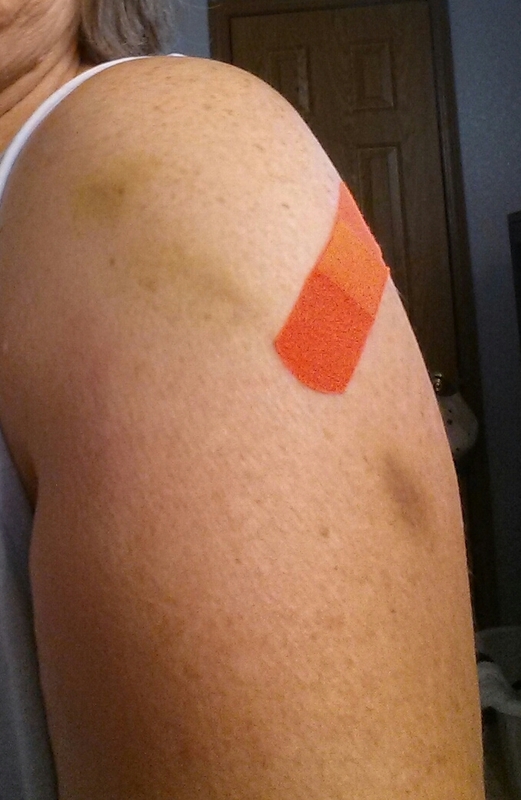 Got my flu shot yesterday. Check out that Hunter's Orange Band-Aid!!! Doesn't help to wear it after I'd already been "shot"! Hahaha! Get it???!! I'll check back in with you after tonight's FNSI and show you what all I managed to do!